In January 2003, Glenn Robbie got behind the wheel of a Camaro with a blood alcohol level of .139. During this incident he killed 22 year old Blair Barker, 1 of the 3 other passengers when he hit a semi. Barker's death was the 2nd time Glenn Robbie killed someone while driving. In 1998, another friend was killed when Robbie rolled his vehicle while driving home from a party. That time his blood alcohol level was under the legal limit and he was fined $550.00. And there was a 3rd incident. Just 9 months after the collision which killed Barker, Robbie was convicted of driving without due care in another rollover incident. Justice Lavoie sentenced Robbie to 3 years for causing the death of Blair Barker. Robbie is also prohibited from driving a motor vehicle for 3 years. Administrative Licence Suspension (also known as administrative licence revocation) is the temporary and almost immediate removal of the license, if the driver refuses to provide a breath sample for an alcohol test, or if the test shows they have a BAC in excess of 80mg%. This sanction is applied independent of a Criminal Code conviction, which also carries with it prohibitions from driving. Which jurisdictions in Canada have ALS? Nine jurisdictions have ALS: British Columbia, Alberta, Saskatchewan, Manitoba, Ontario, Quebec, Nova Scotia, Prince Edward Island and the Yukon. New drivers who consume any amount of alcohol and drive receive a 30-day suspension must attend a Driving Without Impairment (DWI) course for the first occurrence. Subsequent occurrences result in a 90-day suspension, mandatory addictions screening and an education or recovery program recommended by a drug and alcohol counsellor. These all must be completed before the driver’s licence will be reinstated. 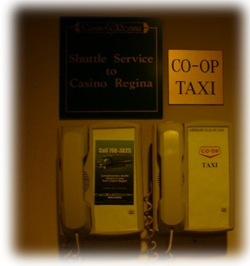 Experienced drivers with a blood alcohol level over .04 receive a 24-hour driver’s licence suspension. A second 24-hour suspension is extended to a 15-day driver’s licence suspension. The driver is also required to attend a DWI course if a second 24-hour suspension is incurred. Subsequent occurrences result in a 90-day suspension, addictions screening and a recommended education or recovery program. If a police officer determines that a driver is operating a motor vehicle while their licence is suspended, the officer can seize the vehicle and have it towed to a secure compound, where it is held for a minimum of 30 days. Which jurisdictions in Canada have vehicle impoundment? Nine jurisdictions in Canada have various forms of vehicle impoundment: British Columbia, Alberta, Saskatchewan, Manitoba, Ontario, Quebec, Nova Scotia, Prince Edward Island and the Yukon. What is an ignition interlock and how does it work? An alcohol ignition interlock is a breath test device linked to the vehicle's ignition to prevent it from being started by someone who had had too much to drink. To start the vehicle the driver must provide a breath sample that shows they have a BAC below a pre-set value (usually 40mg% or lower). 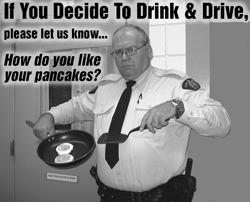 Which jurisdictions in Canada have alcohol ignition interlock programs? 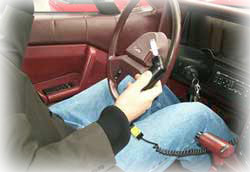 Alberta, Saskatchewan, Ontario, Manitoba, Quebec and the Yukon operate ignition interlock programs for persons convicted of impaired driving. Which jurisdictions in Canada have graduated driver licensing? Eleven jurisdictions in Canada have enacted one or more elements of graduated driver licensing: British Columbia, Alberta, Saskatchewan, Manitoba, Ontario, Quebec, New Brunswick, Nova Scotia, Newfoundland, Prince Edward Island and the Yukon. Evidence of the effectiveness of graduated licensing has been growing. It has been found to reduce collisions in New Zealand, Florida, Ontario and Nova Scotia. For example, among 16-year-old drivers in Nova Scotia, there was a 24% decrease in collisions during the first full year of the program and a 37% reduction over the first three years of the program. Graduated Licensing: A Blueprint for North America, AF Williams, IIHS and DR Mayhew, TIRF, October 2001. Mayhew et al., 1999, Impact of the Graduated Driver Licensing System in Nova Scotia, Ottawa, Ontario: Traffic Injury Research Foundation.